US 50 to SR 48 to Kaiser to home on right. OR: SR 1 to Pribble to rt on Kaiser to home on left. Sign on. Very nice, well-maintained ranch home w/ full, partially finished walkout basement. Large family room. Includes 17 acres of land to roam & play! 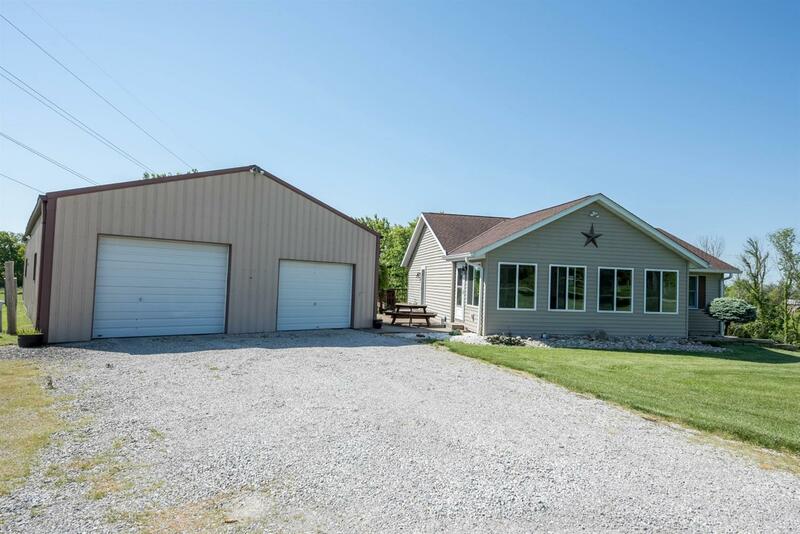 Also has a 30x60 pole barn garage. Enjoy the wildlife & beautiful valley & wooded views. Easy access to & from interstate making it able to by-pass traffic thru Lawrenceburg. NOTE: This property was sold on 6/27/2017 and is no longer available. The details listed below are believed accurate to the date of the sale and are subject to change.